All I can say is YUM. 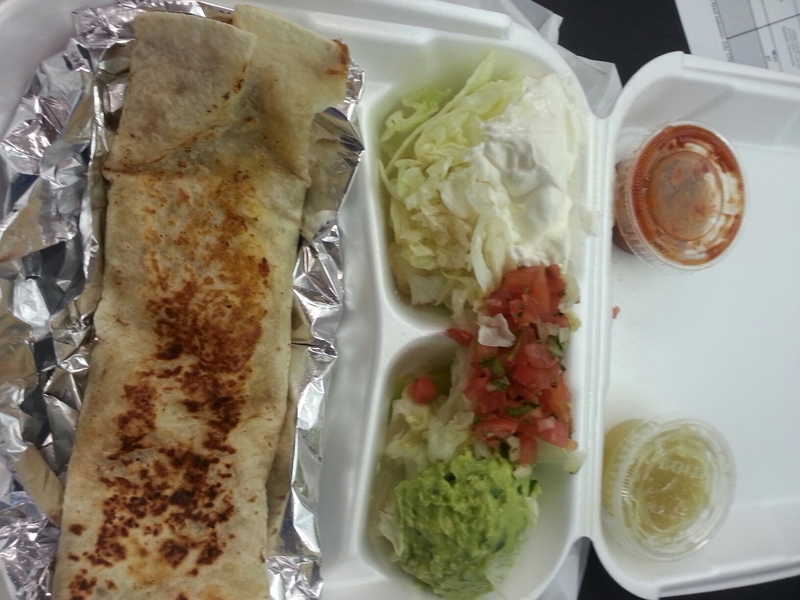 A traditional Mexicano Burrito. Fresh everything, the Beans, the Salsas, the Pico de Gallo and even the Tortilla. What more could a girl ask for? out. So, I decided to skip the errands at lunch today. And stay in an enjoy my leftovers from my favorite Asian Delivery. 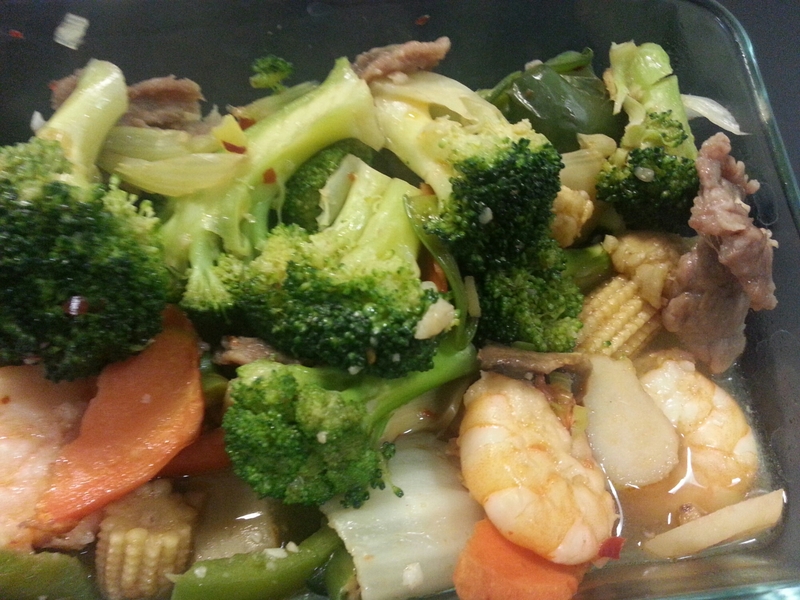 YUM, the Ginger and Hot Peppers are so much more flavorful when this dish is reheated. 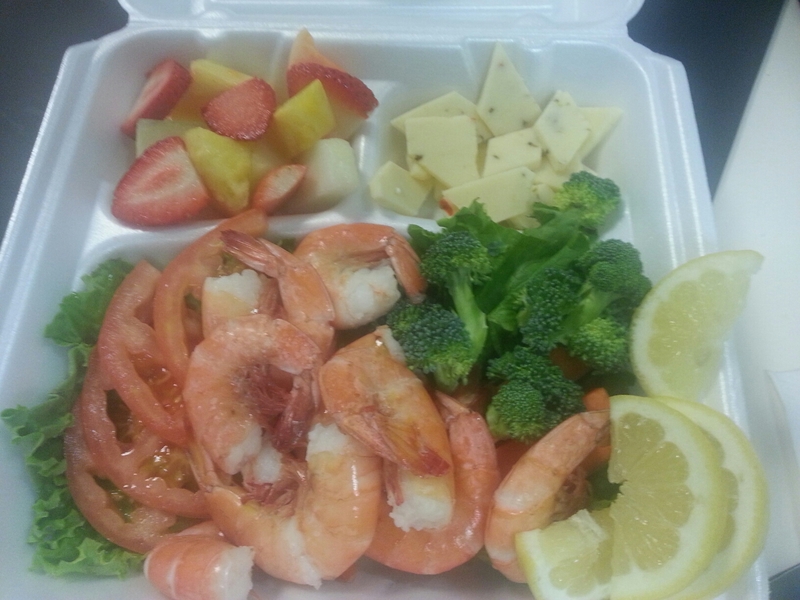 Lettuce, Tomato, Shrimp, Broccoli, Carrots, Fresh Fruit and Cheese. It was really good and just enough for a lunch. just have to treat yourself with some Take-out YUM. 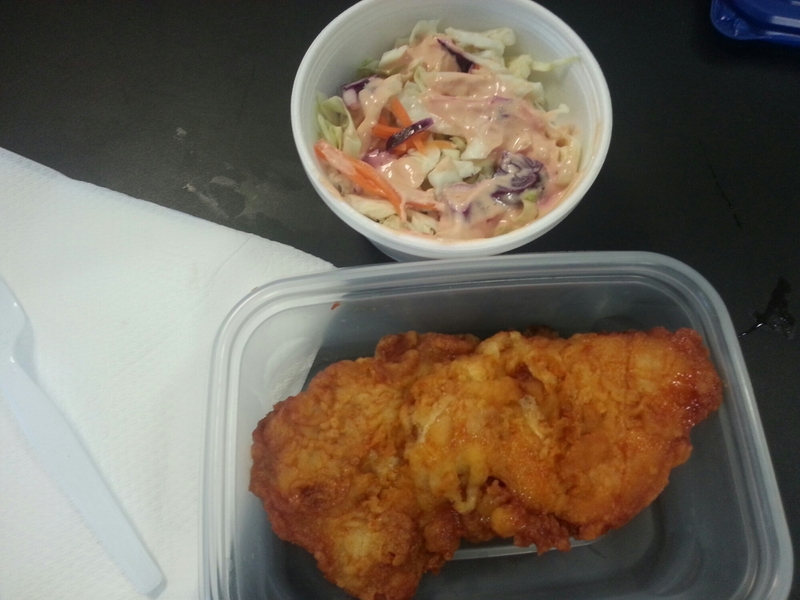 Bon Chon Boneless Spicy Chicken and Shiracha-Mayo Coleslaw. YUM. Yeah-Yeah more food that food eats. For a quick weekday munch this hit the spot. 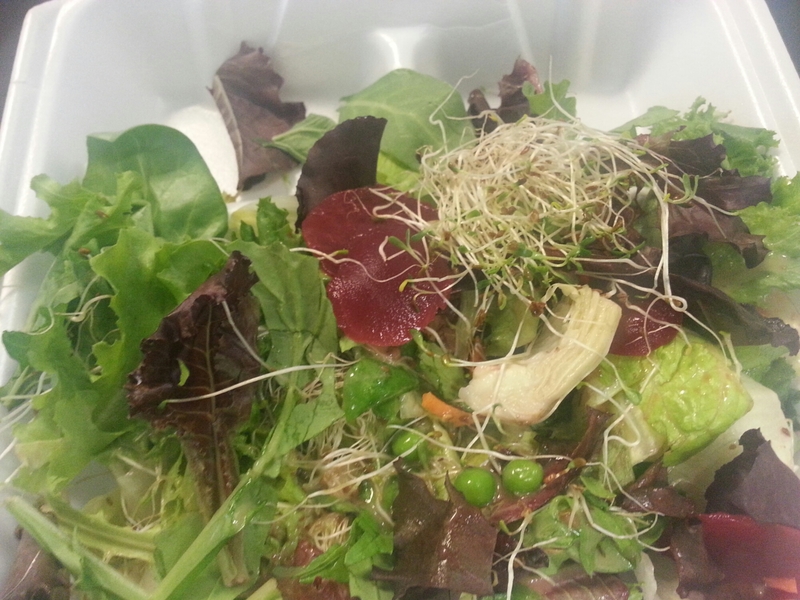 Field Greens, Artichoke Hearts, Peas, Carrots, Beets, Sprouts, Romaine and a simple Balsamic Vinaigrette.